Suicide bombings have killed 95 in a peace rally in Ankara, Turkey today. 1. Pluto trine Jupiter, ruler of Pallas. 3. Pluto in the Second House. 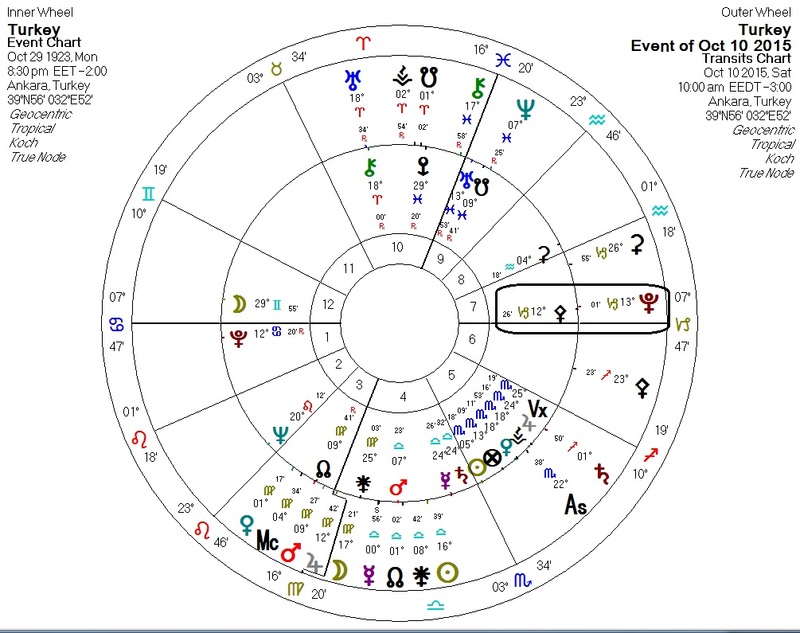 Against the chart for Turkey, we have transiting Pluto conjunct Turkey's Pallas (the "ethical crisis transit"). Transiting Mars/Jupiter on Turkey's North Node are probably also relevant. 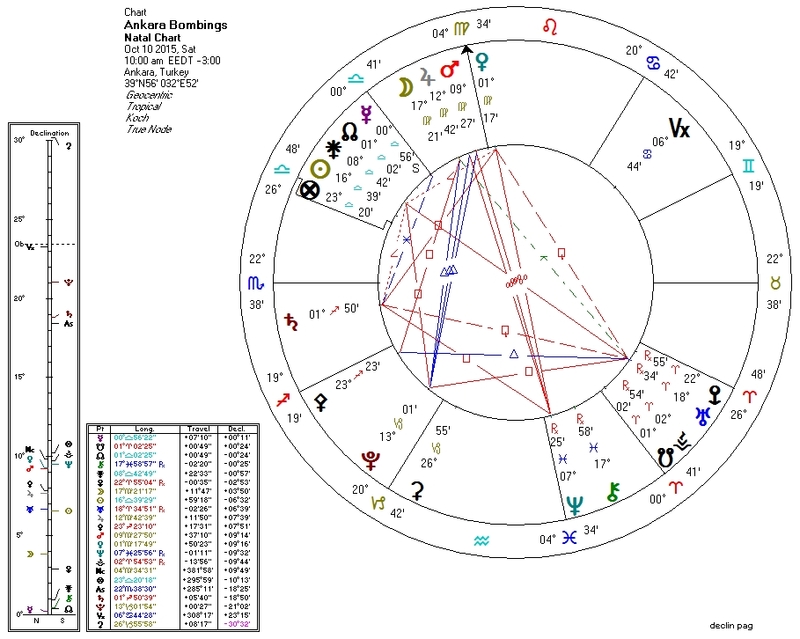 Transiting Uranus conjunct Turkey's Chiron reflects an unexpected wounding. October 10, 2015 at 7:56 PM http://news.yahoo.com/palestinian-stabs-2-israelis-jerusalem-shot-dead-medics-082719844.html Large-scale violence tends to "clump" together when the Bloodbath Formula appears.